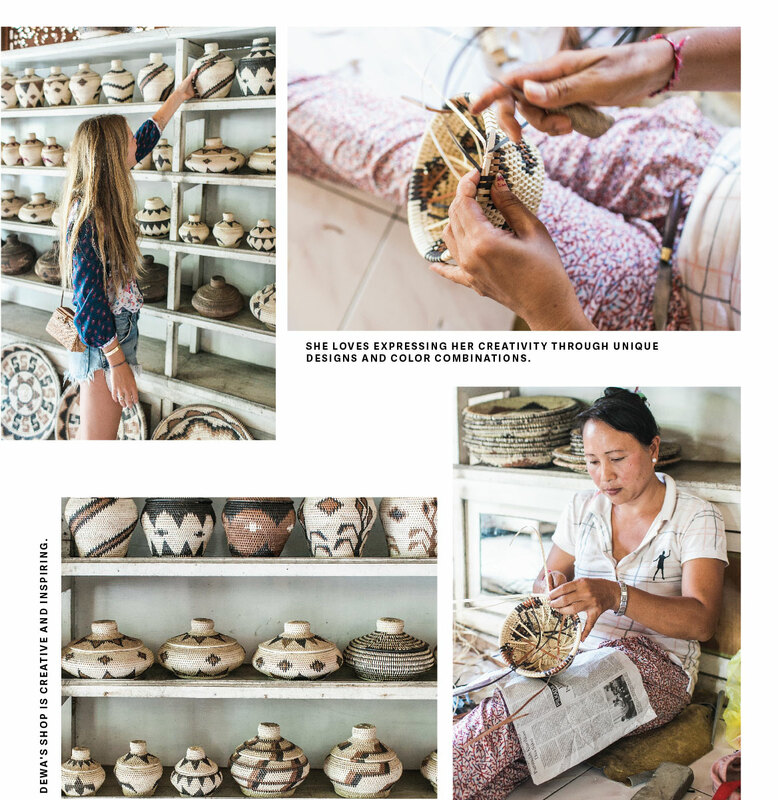 Dewa is a business-savvy shop owner in Ubud, Bali, who works with ten artisans in her community. Her shop is filled with beautiful natural light and lined with the most incredible baskets. Dewa is a business-savvy shop owner in Ubud, Bali, carrying a variety of incredible baskets. She not only values the quality and beauty of her products, but also the experience she gives to her customers. Her shop is filled with bright natural light, showing off shelves and shelves of baskets. 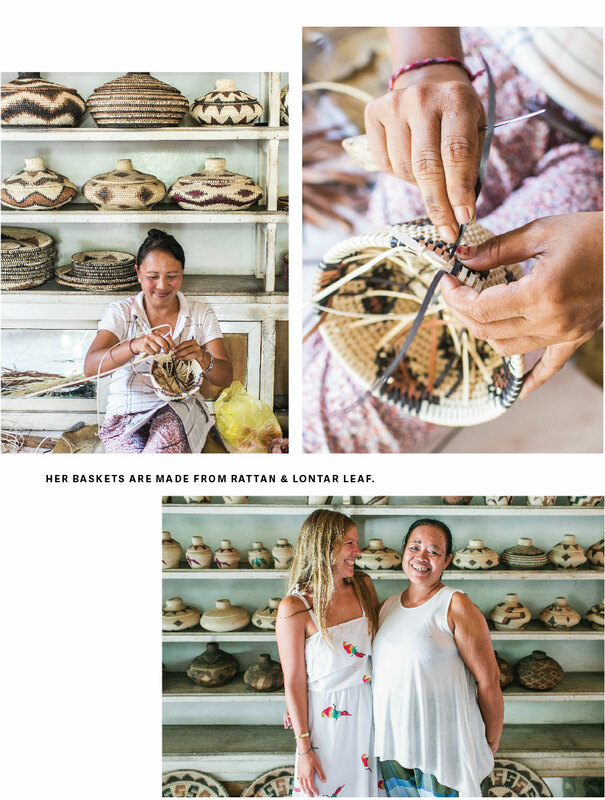 She partners with 10 expert artisans in Ubud who have mastered the art of basket weaving. They start each basket with a rattan base, then weave long slender strips of dried lontar leaves around the rattan. They come up with intricate patterns, incorporating natural and dyed leaves into their weavings.